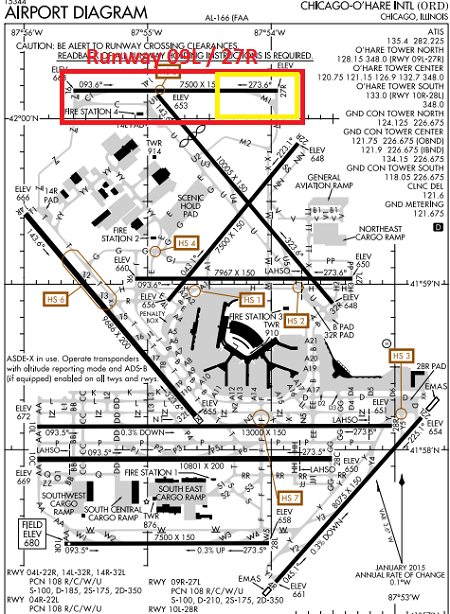 On landing runway 09L in snowfall, the aircraft veered off a taxiway until it came to rest in soft nsow. All on board remained uninjured. 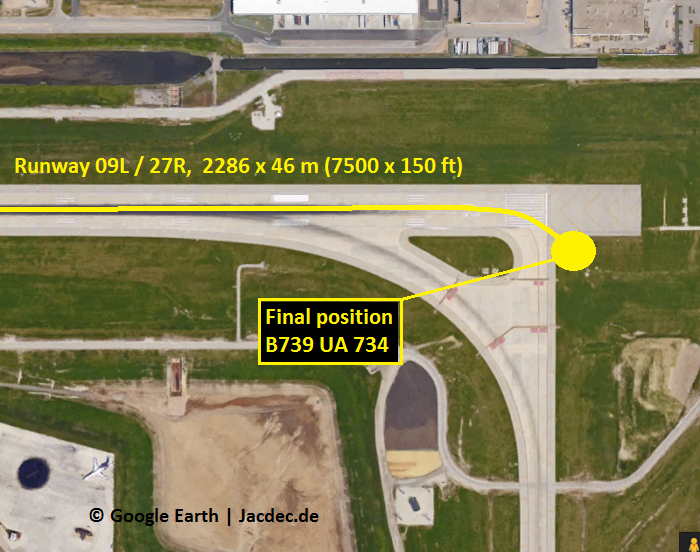 After completion of the landing run on runway 09L (left) at Chicago O’Hare Intl Airport, the pilots apparently lost steering control when vacating the runway at the end to the right via taxiway „Mike“. 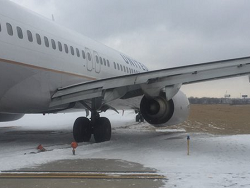 The aircraft began to slid off the eastern end of the taxiway/runway intersection coming to rest on snow and soft ground. 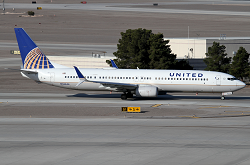 The passengers deplaned via stairways and rode buses to the terminal. At the time of the landing local weasther consisted of moderate snowfall.